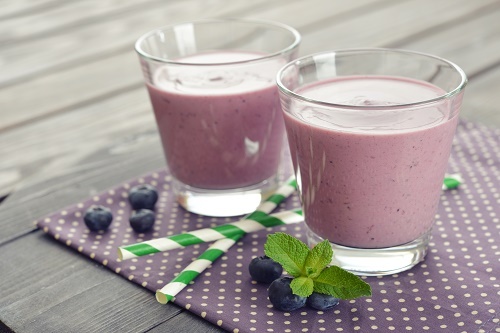 The blueberries and strawberries in this recipe provide a blast of helpful antioxidants. Mango injects a hint of tropical flavor. Combine the three fruits with water in a blender and mix until smooth. Garnish with fresh blueberries and drink up.